Here you will find details about the enduro riders we are sponsoring in 2018. We work closely with our enduro riders on the development of our parts so that we can supply them with exactly what they need to compete in various extreme enduro events all over the world. Jonathan is from Richmond, North Yorkshire and is relatively new to the enduro scene after a successful youth career as a trials rider and has some impressive results so far in the British Extreme Enduro Championship and various other enduro events including the Erzberg enduro in Austria. Like most enduro riders Jonathan rides a 300cc 2 stroke and he competes on the Beta 300 RR, We have worked with Jonathan to supply him a range of parts to suit his needs when racing including an aluminium skid plate and our AS3 Performance radiator braces both of which are essential for enduro riding. 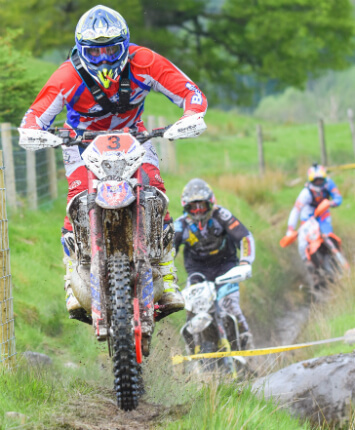 Jonathan competes in the British Extreme Enduro championship and in 2018 finished in an impressive 4th position just behind Jonny Walker, Billy Bolt and Paul Bolton who are all big names in the enduro scene. Also competing in one of the new WESS (World Enduro Super Series) rounds at the Erzberg enduro in Austria Jonathan finished 32nd from the 3rd row on the start.